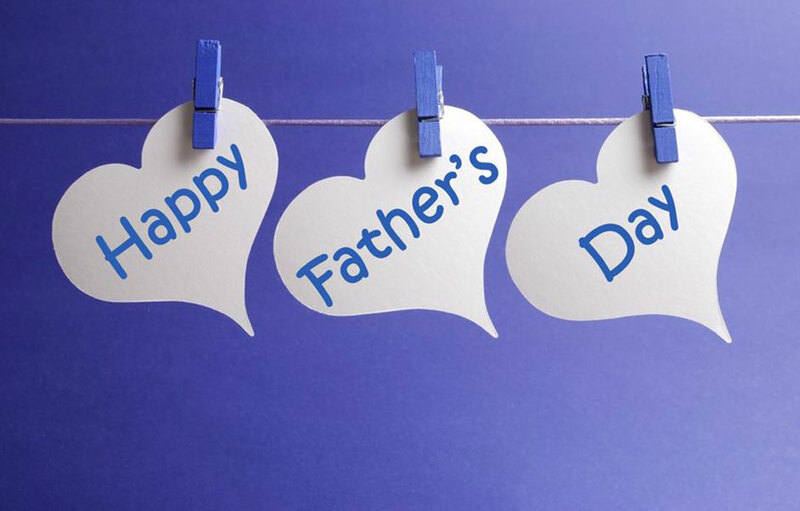 With Fathers Day just around the corner, there are many creative and crafty ideas to celebrate. Here are two of our favourite Fathers Day gifts, which we’re sure any doting Daddy would love. 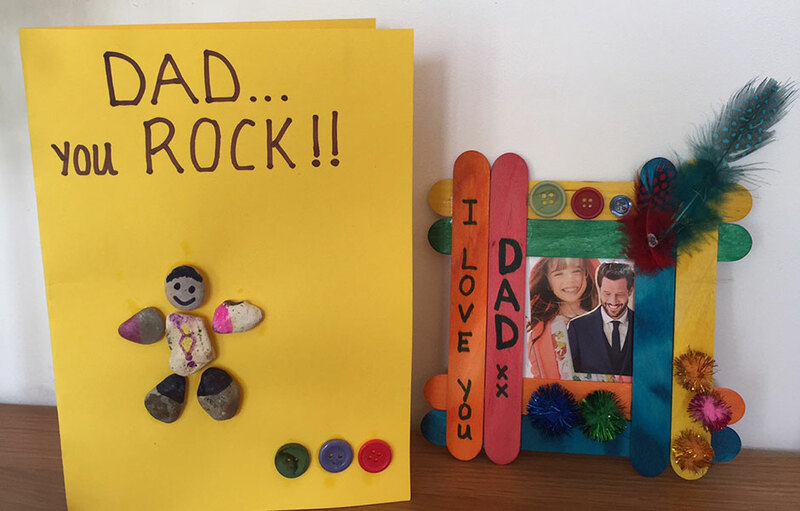 To make this lovely Fathers Day Card, you’ll need; coloured card, A4 is probably best, stones or pebbles, pva glue, felt pens or markers and a selection of buttons or other decorative craft product. Eg; poms, felt shapes, stickers etc. Fold the card in half, you can decorate it either way, landscape or portrait. Assemble the rocks/stones before you stick them, that way you’ll get them in the correct position. Then using the felt pens/markers, decorate the pebbles with clothing and facial features, hair etc. Once dry, stick the pebbles to the card with the pva glue. Then choose your decorative craft product, (we chose buttons) and decorate the rest of the card. Once the glue is dry, using your felt pens, write any greeting of your choosing. Who couldn’t resist this pretty photo frame? For this you’ll need; 8 coloured lolly sticks, felt pens/markers, buttons, feathers, poms or other decorative craft products, a photo, pva glue. Assemble the lolly sticks as you prefer them, we positioned 2 next to each other, top and bottom and then using pva glue, stuck the remaining 4 on top in the opposite direction. This forms an empty square middle for your photo or picture. Once the lolly sticks are dry you can decorate the frame as you wish. Glitter glue, stickers, foam shapes would all look great too. Any messages can easily be written with felt pens or markers. When all the decorations are dried and in place, cut your photo or picture to size and then glue or Sellotape to the back of the frame. All website content is Copyright © 2019 Artstraws.